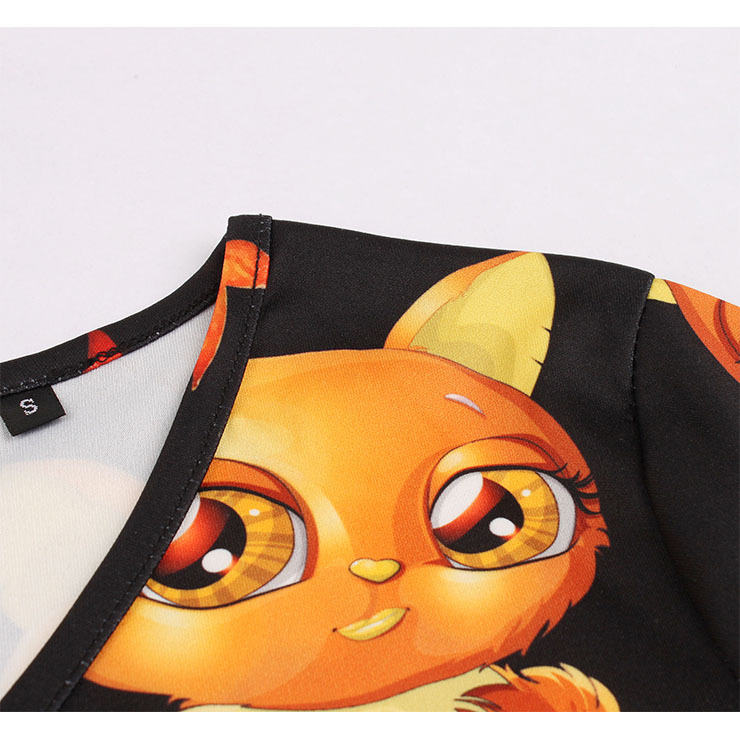 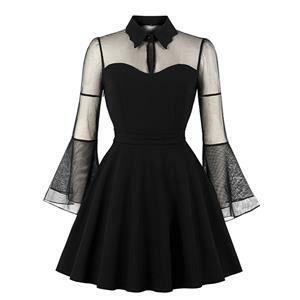 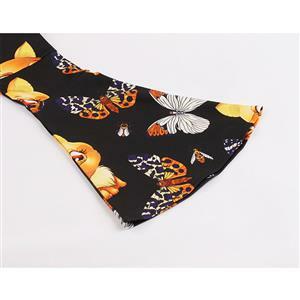 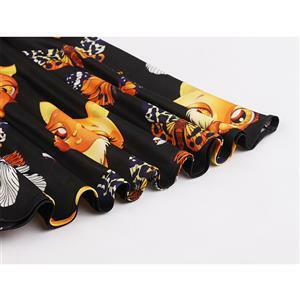 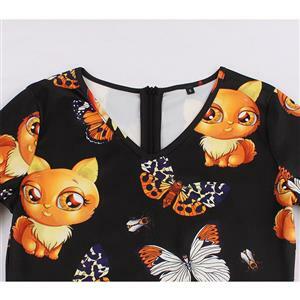 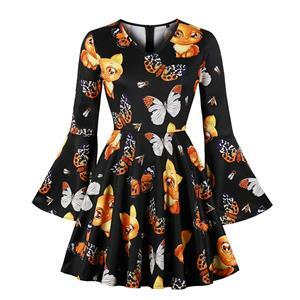 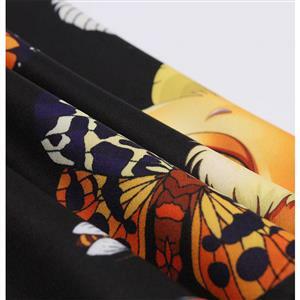 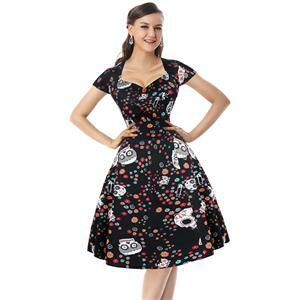 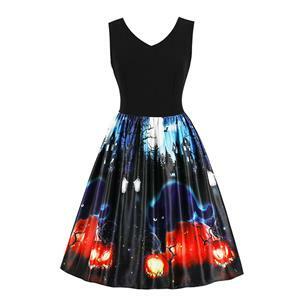 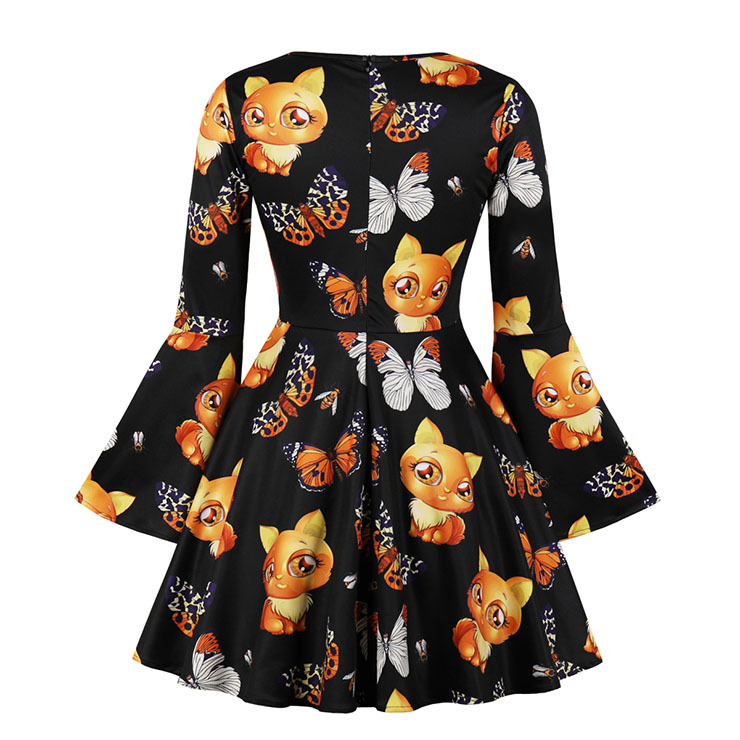 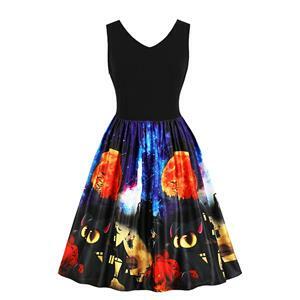 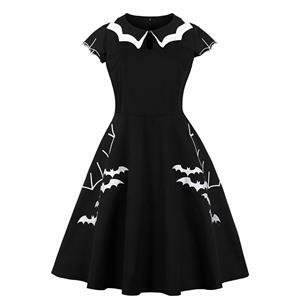 This fashion women's black dress features: simply V neckline and flare sleeve, A-line style skirt, high waist and swing hemline design, Halloween style butterflies and foxes print, concealed zipper at back. 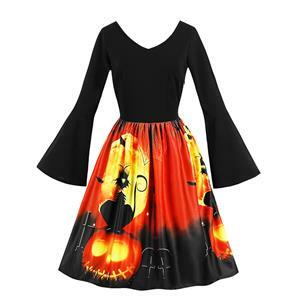 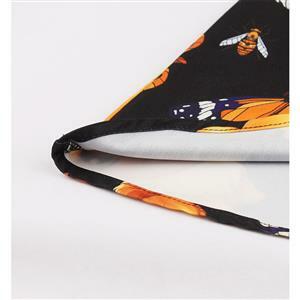 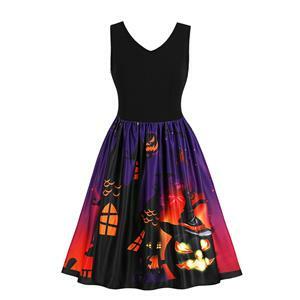 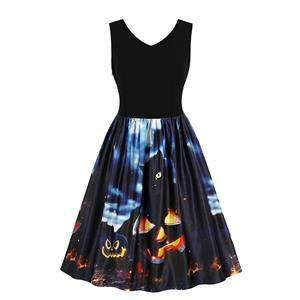 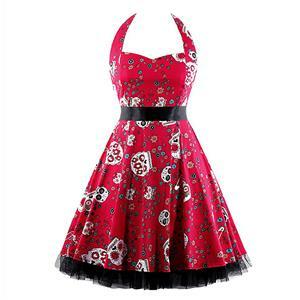 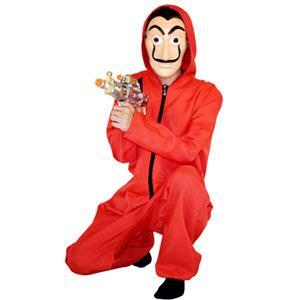 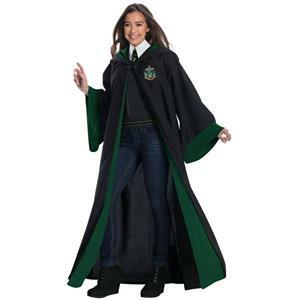 Perfect for Halloween, daily casual, cocktail, dating, outdoor, party and other occasions. 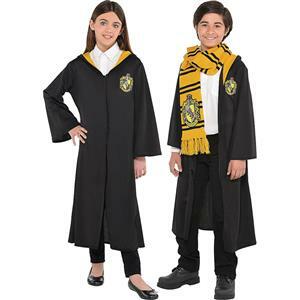 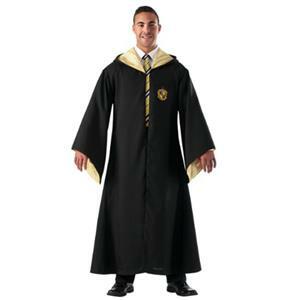 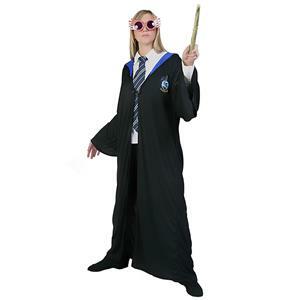 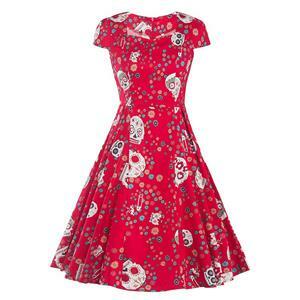 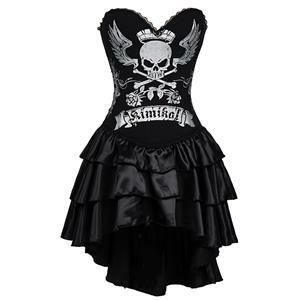 Material: Polyester 95% Spandex 5%.